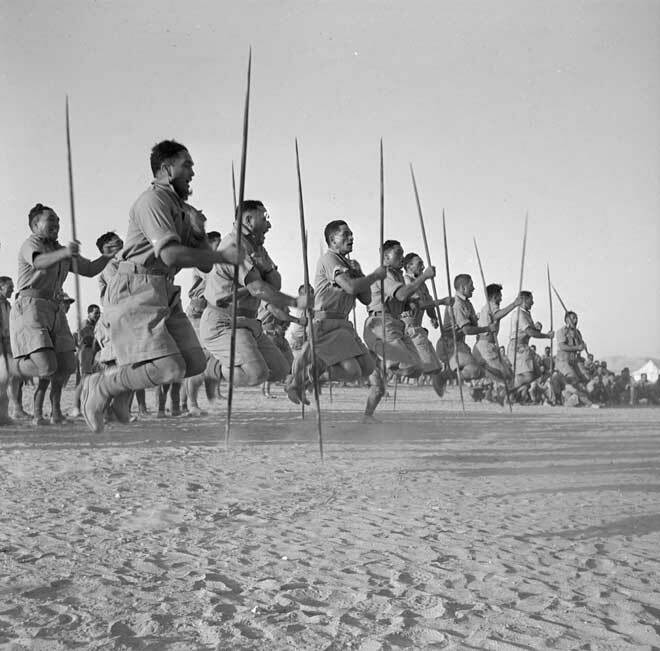 The Māori Battalion performs a haka – a well-known Te Arawa peruperu (dance with weapons) – for the exiled King of Greece in Helwan, Egypt, in June 1941. The battalion had recently been evacuated from Greece and Crete, following fierce battles against the invading Germans. The Māori Battalion went on to serve throughout the North African campaigns of 1941 to 1943. It suffered heavy casualties but its men gained an outstanding reputation as soldiers.